and rolling stock maintenance machines. Renowned as a most reliable manufacturer, supplier and stockist of a diverse range of railroad equipment as well as high quality components and parts for all types of locomotives, rail wagons and rolling stock maintenance machines. 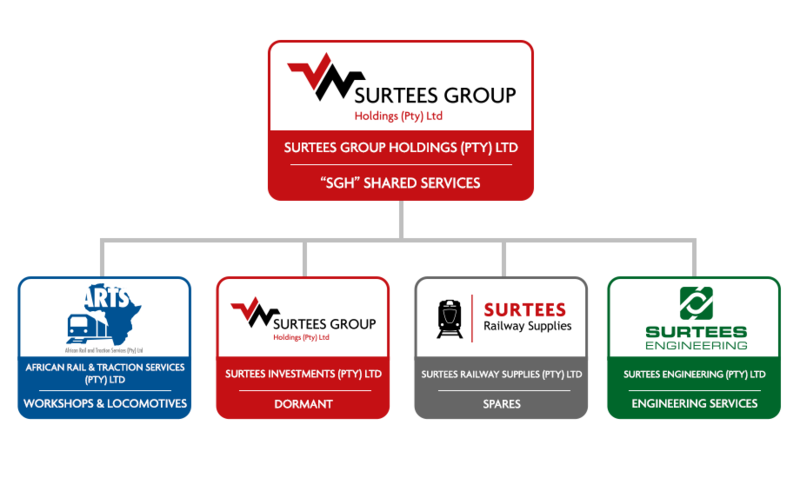 Surtees Engineering (Pty) Ltd services include the manufacturing, repair, maintenance and machining of specialised heavy industry related products, servicing a broad spectrum of industrial applications.